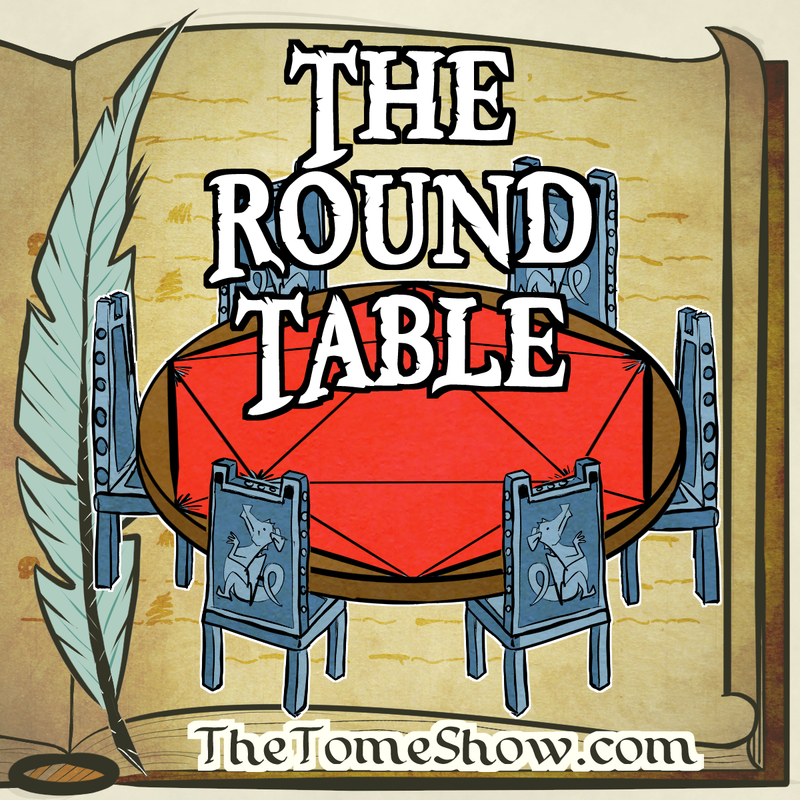 My final episode of my podcast, The Round Table, is up on The Tome Show’s website. James Introcaso and Topher Kohan sit down with James Floyd Kelly, Jay Africa, and Joe Lastowksi to discuss DMs Guild print on demand products and the Fighter and Monk Unearthed Arcana articles. This podcast was recorded on December 18, 2016. I sit down with Joe Lastowski, Topher Kohan, Daniel Franco, and Alex Jarzinbinski to discuss the in-store adventure In Volo’s Wake, the Volo’s Guide to Monsters Adventurers League Reference, and an Unearthed Arcana article about Barbarian Primal Paths. Then it’s an interview with Randy Aitken about his Kickstarter for Of Drow Origin. This podcast was recorded on November 12, 2016. James Introcaso sits down with Topher Kohan, Joe Lastowski, and James Floyd Kelly to talk about updates to Adventurers League play in game stores. Then it’s an interview with Tome Show favorite Mike Shea about the release of his amazing new book: Sly Flourish’s Fantastic Locations. This podcast was recorded on September 18 and 20, 2016. I sit down with Joe Lastowski, Topher Kohan, Allison Rossi, and Neal Powell to discuss the D&D survey and a tweet from Mike Mearls about products DMs would like to see from Wizards of the Coast. Then it’s an interview with Hero Lab developer Colen McAlister and adventure designer Steven Helt about the announcement that Hero Lab now supports official Pathfinder adventures. Please rate and review The Tome Show on iTunes. It only takes 30 seconds and helps us a bunch. I sit down with Topher Kohan, Joe Lastowski, and Round Table newbie Robert Maxwell to discuss rumors of the latest Dungeons and Dragons storyline and a cryptic announcement from Wizards of the Coast about a D&D announcement. Then it’s an interview with Steven Helt of the Four Horsemen to discuss their ongoing Kickstarter for The Talented Bestiary. This podcast was recorded May 10 and 12, 2016. Please rate and review The Tome Show on iTunes. It takes 30 seconds and helps us a bunch. I sit down with Topher Kohan, Joe Lastowski, Paige Leitman, and Ben Heisler to discuss the D&D March survey and the state of organized play. Then it’s an interview with Stephen Rowe and Dan Dillon of The Four Horsemen to discuss their Kickstarter for The Talented Bestiary. This podcast was recorded on March 29 and April 17, 2016. I sit down with Sam Dillon, Allison Rossi, and Joe Lastowski to discuss the latest Unearthed Arcana article, “That Old Black Magic,” which brings demonic tieflings and demon conjuring spells into fifth edition Dungeons and Dragons. This podcast was recorded on December 20, 2015. I sit down with Allison Rossi, Joe Lastowski, and Topher Kohan to discuss the Unearthed Arcana article which gives us the Rune Scribe – fifth edition D&D’s first prestige class! 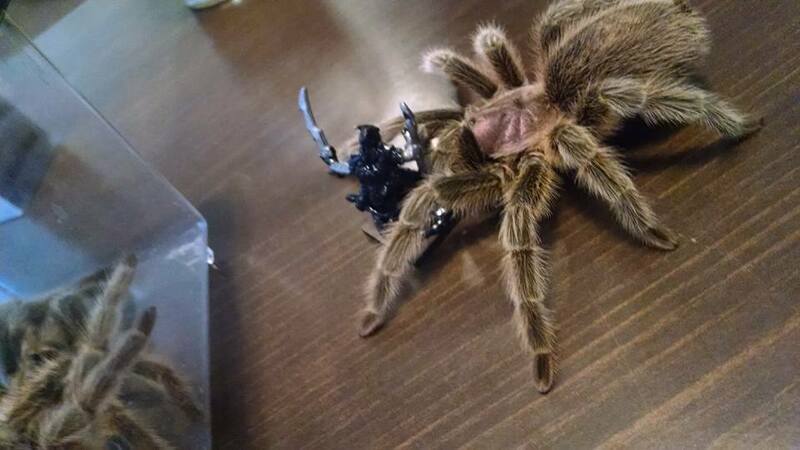 This podcast was recorded on October 20, 2015. I sit down with Rudy Basso, Vegas Lancaster, Joe Lastowski, and Round Table newbie Chris Bridges! We talk about the upcoming Sword Coast Adventurer’s Guide and the latest Unearthed Arcana article, “Modern Magic.” This podcast was recorded on August 6, 2015.